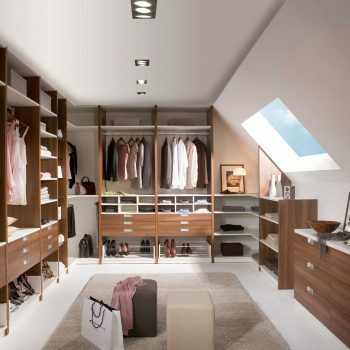 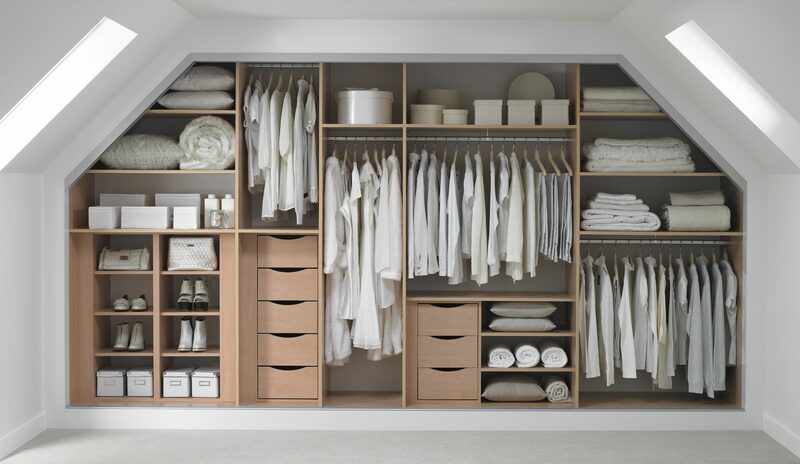 When it comes to Loft Wardrobes we are the experts. 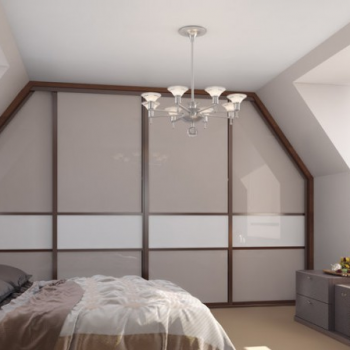 One of our most popular range of products and services are gorgeous hand built loft wardrobes designed perfectly for your loft. 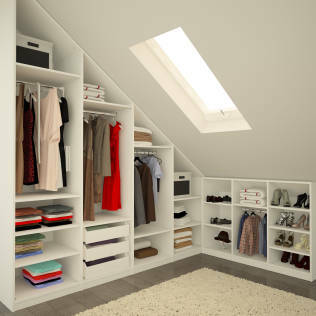 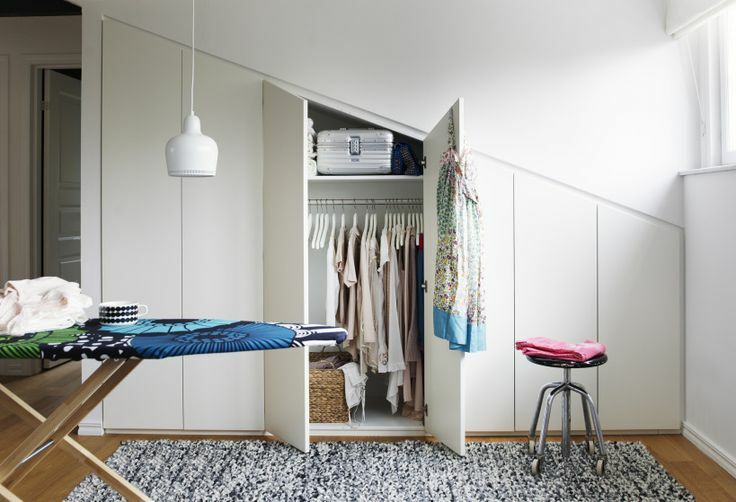 With our expert help and guidance, we can help you to make the most out of your loft or attic space, transforming it into a useful, space saving room; with loft storage and loft room wardrobes integrated into the design allowing you to get the most out of your home. 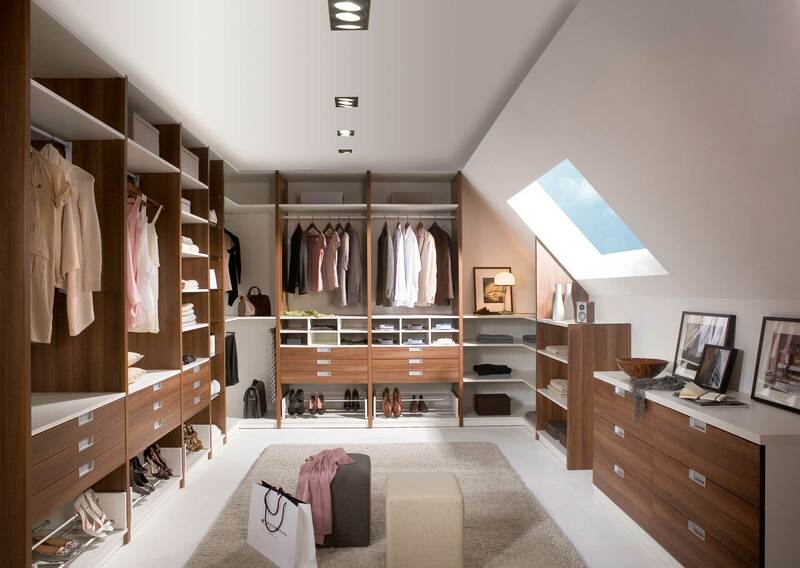 Although bedroom wardrobes are our forte, we also pride ourselves on our bespoke attic wardrobes. 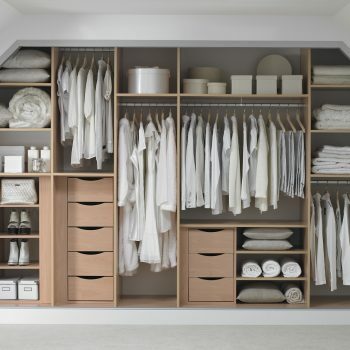 We have dozens of colours to pick from with various materials to use also. 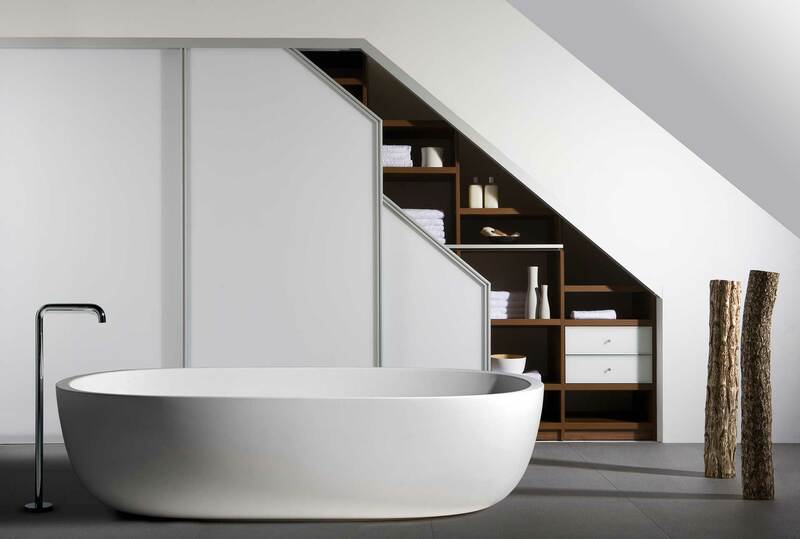 From a lovely beech wood to luxurious brightly coloured glass. 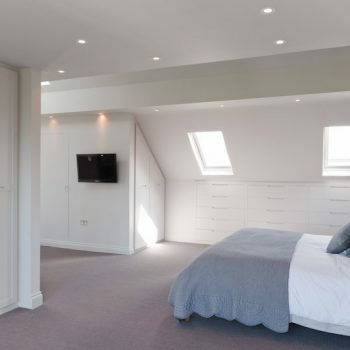 Our innovative ideas mean angled loft ceilings and loft walls are easily incorporated into our stylish designs and our wide range of products means we can create a room which fits your requirements exactly. 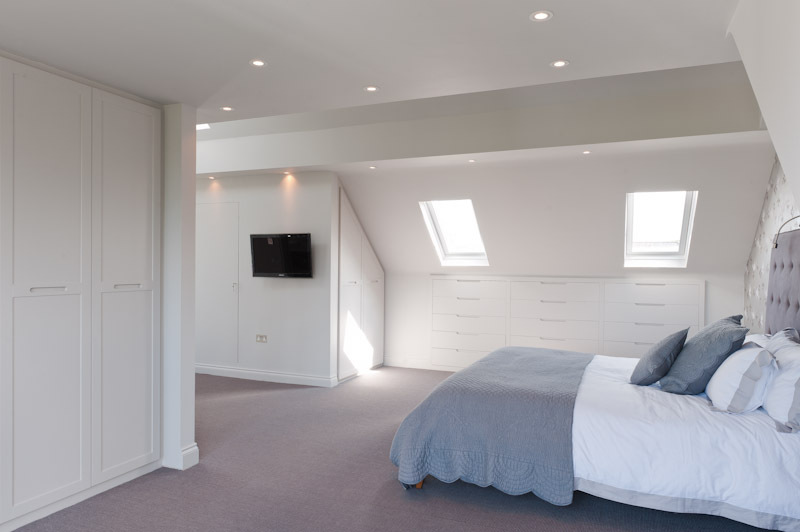 Loft space can be quite difficult to use and work with, hence why our experienced designers use their diverse skill set to create clever loft storage space no matter the size or shape of the loft room.